The story of Ben Tuck’s 2016 Caterham Supersport campaign can be summed up as – ‘a season of 2 halves’. With engine problems, reliability issues and crash damage marring the first half of 2016, followed by a brace of wins, fastest laps and a lap record in the second. 2017 is shaping up to follow a similar pattern if the early season is anything to go by. Although the first four races of 2017 have netted two 3rd‘s and a 2nd, there has also been a heavy crash and DNF, and engine reliability problems. 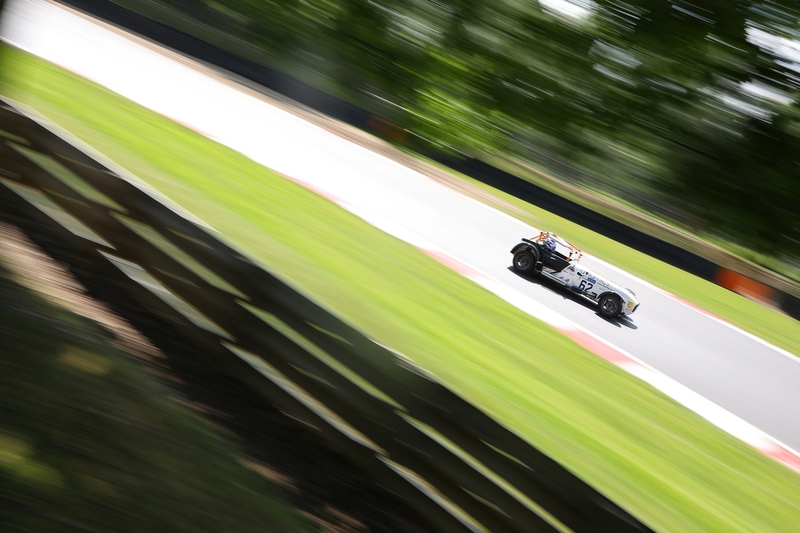 In the latest instalment at Brands Hatch at the weekend, Ben suffered more engine woes. Qualifying saw Ben’s engine gradually fail over the session until he retired with 4 minutes to go, after banking a lap good enough for only 8th on the grid. 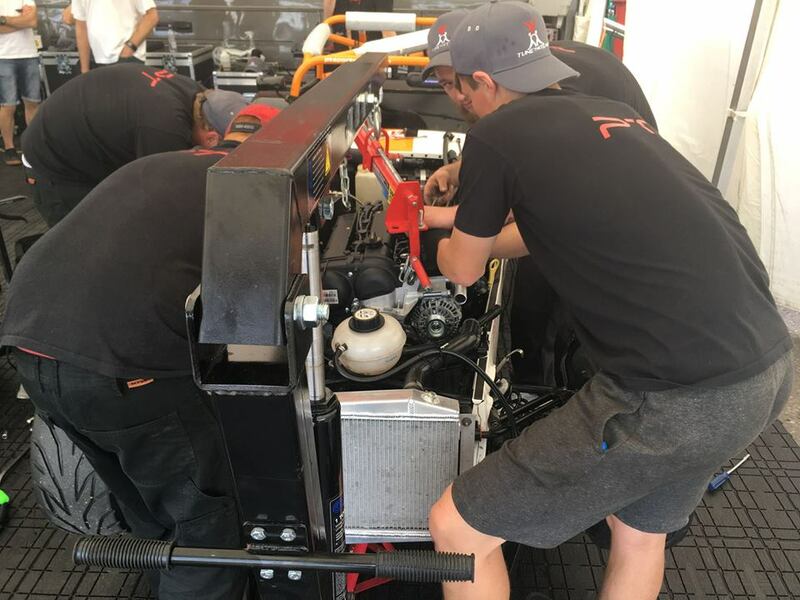 With only 2 hours before Race 1, Ben’s team – PT Sports Cars, pulled out all the stops to install a brand new engine in just 90 minutes, salvaging the chance to fight for a result. In an uncanny repeat of the engine problems Ben suffered at Zolder in 2016, yet another new engine was found wanting. At Zolder the team were able to work through the night to repair the problem. However, with just minutes to spare, Ben took to the Brands Hatch track with an engine that was down on power and that went on to spill hot engine oil on his legs and pedals. As his pace slowed in the race, Ben had to defen d fiercely his position, and succeeded in losing only 1 place before the flag to finish the race in 9th. Overnight investigations failed provide a remedy and Ben was forced to roll out in Race 2 facing a frustrating half hour of gradually falling backwards though the field. However the motorsport rollercoaster ride had more drama to serve up. At the lights Ben succeeded in sticking with the top pack and snatched a place on the first lap. Fighting hard, he was able to minimise his power deficit to maintain his position and by lap 20 he’d found a way past to move up to 7th place. 5 laps later the close battle at the front ended with the leader and the 2nd place man crashing out at Paddock Hill Bend, resulting in the race being neutralised under Code 60 rules, which restrict each driver to maintain position and drive at 60kph whilst the marshals dealt with the incident. This gave Ben a crucial opportunity to take advantage of the restart of full racing. The Green Flag was given on the very last lap and Ben timed his move perfectly to skip another place up to 4th position. This took him into the battle for the 2nd place. To minimise his power shortfall Ben, followed inches from the car in front until the last second before jinking out in a bid for 3rd across the line missing the final podium slot by just 900ths of a second. “We did all we could this weekend to deal with the situation that developed with the engine. The whole team pulled together not just on the engine change but all weekend. Aviamics, Trafalgar and Saturn were key to us continuing this weekend so thanks go to them and also to Park Plaza”. With the demise of the engine, Ben faced another uphill struggle as the weekend began. But the salvage of a 9th place and a 4th place showed huge determination and perseverance and minimised the damage, keeping Ben in the game for the Championship Title. Ben next races at Donington on 8th and 9th of July. 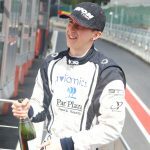 BEN TUCK NAMED TOP BRITISH GT4 DRIVER!